Educational Consultants: Who Are They? What is an Educational Consultant? 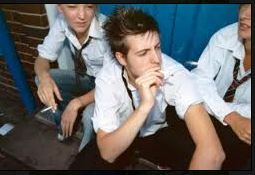 (EC) They are an individual that may or may not have qualifications to help you place your troubled teen into a treatment center. Years ago, EC’s were mainly used for parents that needed help in finding the right colleges for their teens, help with their applications etc. As our world turned, the need for help in the troubled teen industry grew. It became a new outlet for EC’s to make money. As the Internet was growing, more and more parents and teens were able to do all their college searches online – and get information at their finger tips. Well, the Internet has expanded again – with the help of Facebook, Blogs, forums etc more parents are able to do their searches for residential therapy without the help and extra fees of an EC. However, it is difficult to decide what is best for your teenager or what online information is true, false or fabricated. As a parent of a troubled teen, I went through all these motions. From the EC to the Internet scams – I hit it all. My story is not a happy one, however it is one that thousands of families have learned from. I ended up with a program that did more harm than good, and with that, followed years of litigation and my strong desire to find out what this “big business of teen help” is all about. For over a decade I have made it my mission – I have seen and visited many good, bad and ugly programs. But what I have heard over and over again is the EC Shuffle which is just as disturbing as finding a bad program. Almost every family I spoke with that hired an EC were given the same advice – Wilderness – then we will see – and of course, by the fourth week of Wilderness they are telling the parents – we need to go to step two – a residential boarding school….. So this teen that thought he was leaving to go home within 6-8 weeks now finds out he is going to yet another program. He/she will have to start all over again with their issues, new program, new staff and more feelings of abandonment all over again. EC’s have told parents that Wilderness will help break their teen down to be better prepared for a therapeutic boarding school – but correct me if I am wrong, isn’t our teen already broken? 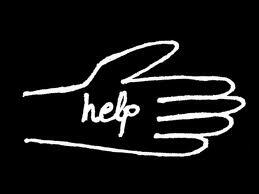 Why are we looking for help? Either way, it is just very disheartening that when parents are at their weakest moment they believe what they hear from what they assume are experts. Full Disclosure: I am not against Wilderness programs, many teens have a wonderful experience, but many parents can’t afford them – and please don’t regret it. There are some good EC’s out there – like every business, you need to do your due diligence. At the end of the day, you need to find what is best for your teen, as a parent you are capable of making these choices. You may just need some sound guidance – visit www.HelpYourTeens.com and you will find lists of questions, hints in searching and much more. I just believe enough is enough when it comes to this EC Shuffle…. Guest Blogger, Jasmine Hall, from OnlineClasses.org, has asked me the share her recent article that I believe many of my readers will find value with. ADD/ADHD is a subject that many parents and experts have debated for years. As a son with ADHD, I know firsthand how difficult it can be, and how solutions are different for every family. Attention Deficit Hyperactivity Disorder (ADHD) has been the subject of scrutiny in recent years due to the perception that it’s a faux-disorder. A patient isn’t diagnosed after an X-ray or blood test, but rather with a behavioral evaluation that considers his or her unique situation. The lack physical evidence fuels the skeptics despite the fact that many of them lack experience in dealing with the disorder. Just ask a parent of a child or an adult who suffers from ADHD, and they’ll tell you that it’s more than just the occasional loss of concentration — it hinders their ability to function to their potential, in school and social situations. The following myths have been perpetuated by people who don’t understand ADHD but have been debunked by doctors, mental health professionals and people who live with the disorder. ADHD isn’t a real problem: It’s a common opinion that disorders like ADHD were devised by drug companies in order to make a few extra bucks, but that couldn’t be further from the truth. In fact, it’s a recognized disorder by the American Psychiatric Association (APA), Centers for Disease Control (CDC), American Medical Association (AMA), National Institutes of Health (NIH) and a majority of national psychiatric and psychological organizations. Acknowledgment of ADHD is almost unanimous by mental health professionals and researchers who have studied it. ADHD is an excuse: As previously mentioned, ADHD is a legitimate disorder, and one that can hinder a person’s ability to reach their full academic and personal potential. Symptoms include: difficulty focusing on one thing, difficulty learning something new or completing a task, listening problems, general confusion and disorganization, the inability to sit still, the constant desire to be in motion, excessive talking, the inability to remain quiet for even short periods of time, and poor impulse control. A comprehensive list of symptoms is available by clicking the link. Strict discipline can solve childhood ADHD-caused problems: Many people claim that strict discipline can solve a child’s behavioral problems caused by ADHD. Some skeptics tend to view it as a generational problem, asserting that children are spoiled and need to be more harshly punished for their actions. The truth of the matter is that children with ADHD lack sufficient impulse control and excessive punishment can prove damaging to their mental health. And while it’s important to set clear expectations and establish structure, it’s also essential that parents remain patient with their children. All ADHD sufferers are hyperactive: Although constant hyperactivity is the primary problem associated with ADHD, it’s not the only symptom. Inattentive-type ADHD, or ADHD without the “H,” has become more recognized by the medical community in recent years. A person can control their impulses while being inattentive, which can lead to substandard academic performance. Even shyness is characteristic of inattentive-type ADHD sufferers; children with the disorder require positive attention, as low self-esteem may become an issue. ADHD indicates a lack of intelligence: A Yale report published in 2009 showed that about three of four people with ADHD and an IQ score of more than 120 experienced difficulties with memory and cognitive tests. On the other hand, people without ADHD with similar IQ scores didn’t have as many problems. ADHD doesn’t discriminate based on IQ score. People of all intelligence levels have it; many just need assistance in harnessing their capabilities. ADHD medication causes a drugged feeling: A doctor or mental health specialist will determine the appropriate treatment for ADHD based on the unique needs of the patient. Side effects are closely monitored and if a medication has an adverse effect, the dosage will be lowered or it will be changed to something more suitable. The stimulant that’s typically prescribed comes in different forms, including capsule, pill, patch and liquid. Some have short-term effects while others have long-term effects. In short, there’s not one treatment that’s applied to everyone. ADHD can be diagnosed through a medication trial: Psychostimulants have the same effect on people without ADHD as they do on people with ADHD, so a noticeable difference in behavior subsequent to taking a medication isn’t a true indicator that a person has the disorder. A person who thinks they may have ADHD should consult a doctor or mental health specialist, and he or she will make an assessment with the assistance of diagnostic criteria established by the American Psychiatric Association, or the American Academy of Pediatrics if a child is being examined. ADHD diagnoses have become too common: According to the CDC, just three to seven percent of school-aged children had ADHD in 2006. Between 1997 and 2006, diagnoses of ADHD increased by an average of just three percent each year. A 2005 report by the CDC indicated that 4.4 million children aged four to 17 were diagnosed with the disorder, and just 2.5 million of them were prescribed medication. What’s more, many medical professionals and researchers assert that girls and minorities are underdiagnosed. ADHD is limited to children: Many children who endure ADHD still battle it well into adulthood, and many adults will be diagnosed for the first time years after they’ve entered the real word. Instead of forgetting homework assignments, failing to complete in-class assignments and inefficiently studying, they may forget an appointment, produce at a slower rate than their peers, and exhibit a general lack of preparation. In many cases, the result is job instability and a lack of career fulfillment, which can affect their overall quality of life. Adults who think they may have ADHD shouldn’t hesitate to visit a doctor or mental health specialist. People with ADHD can’t succeed: The lengthy list of talented people who have ADHD includes 14-time gold medalist Michael Phelps, four-time Super Bowl champion Terry Bradshaw, Kinko’s founder Paul Orfalea, and Virgin Group founder and billionaire Richard Branson. Additionally, great innovators, thinkers and leaders from the past are said to have shown symptoms of the disorder, like Albert Einstein, Beethoven, Charles Schwab and John Lennon. Given the sheer amount of people who have overcome ADHD to achieve their dreams, it’s clear that it doesn’t have to be an impediment to success. Some parents fear that when summer arrives their child’s brain is going to turn to mush. All that pool water is making anything she happened to learn last year dissolve quicker than you think, but think again. You can still have a fun and exciting summer (including swimming) and keep your education flowing in. 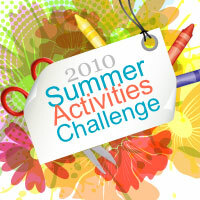 Summer Activities Challenge, presented by Education.com, is an opportunity for families to have fun learning together while kids avoid the summer slide academically. A prize a week for 12 weeks! Each week during the challenge we’ll send a LEGO prize pack (worth at least $50) to a family that has completed at least one activity that week. Participants can win weekly prizes even if they never finish the Challenge. A shorter trip to the finish line! This year participants only need to complete 10 activities to be eligible for the Grand Prize and the Rocket Balloons (last year the bar was set at 20 activities). Even more activities to choose from. We now have thousands of activities on Education.com for participating families to choose from. The activities are sorted by grade level and academic subject. Each activity takes anywhere from ten minutes to several hours to complete and the activities typically require basic materials that families will either have on hand, or can easily and inexpensively acquire. Education.com is one of the most comprehensive websites full of valuable resources and educational articles regarding your kids today. Want a sneak peek at the thousands of activities your family can choose from? Click here. Get moving, get motivated, get learning and most of all enjoy your family this summer! Is your teen in summer school? Connect with Kids offers an interesting article regarding academics and your child’s summer time. The parenting tips are definitely worth reviewing. – Joanne Max, Ph.D., Psychologist, explaining that a little bit of summer homework is a good thing. <!–a href=”#” target=”_blank”></a–>Studies from three different universities are confirming what some educators have called “the summer brain drain”: the two months worth of knowledge kids lose over the summer. Keeping them academically busy over the summer is one answer, but it is controversial. While some kids spend their summer playing, straight-‘a’ students Grace and Mark will be reading, reading, and reading some more. Not because they want to, though. It’s a school assignment. “Ideally my summer would be where I got to do what I wanted to do and kind of not worry about academics so much,” adds 15-year-old Grace. Even some parents and educators agree. “There’s no time to recharge. It seem like a lot of their time is being sucked up,” says Author and education expert Adam Robinson. Still, experts say summer homework is a trend that’s unlikely to go away. So parents should first: Keep it in perspective and explain to the child that a little bit of summer homework is a good thing. Second: Help them budget their time. Even Mark says his summer homework would be much less of a hassle if he did a little each day. “But I usually cram it in on the last few weeks,” he admits. Whether homework is assigned during the school year, or as a “summer bridge” between grades, parents can help their children get it done. In fact, the American Federation of Teachers (AFT) says parents can help their children academically, even if homework is not assigned. The AFT describes the home as “a child’s first school” and recommends spending a little time each day on reading, writing and math activities. From fourth to sixth grade, between 20 to 40 minutes per day. From seventh to ninth grade, students can expect to spend up to two hours on homework each day. High school students often need to study more than two hours each day. Help them get organized – It can be hard to schedule homework time into our kids’ busy lives, but that is exactly what we must do. Prioritizing homework tells your kids that learning, reading and studying are important. If you need to, post a weekly calendar with slots for daily homework time. Help them find the right workspace – Where your child should do homework depends largely on your child’s age. The workspace should be well lighted and supplied with pencils, paper, rulers and books so kids don’t waste time hunting for tools. The kitchen or dining room table is the most popular workspace for young children. Be a parent, not a teacher – The most important role parents can play is as a parent. It is important not to become the teacher at home. The parent can scan the assignment first to become familiar with it. That way, if the child has trouble finding the answer, the parent can offer a clue and then let the child find the answer. This approach helps build the child’s confidence that he/she can, indeed, do the work on his/her own. Parents should be ready with praise when the assignment is completed. Final Checkout – Parents should check homework assignments for completion before they are handed in. This not only gives you an indication of your child’s ability, but it also keeps you up-to-date on what he/she is studying. If you do find errors, don’t criticize. If your child is really struggling, send a note to the teacher pointing out the difficulties your child had with that assignment. By going over homework with your child, you can see whether there are any problems that need to be addressed. The AFT also recommends that parents reward their children for work well done, or for trying hard, even when they make mistakes. The rewards don’t have to cost money. A hug or a smile and some words of praise can mean more than candy or a toy. I just read the most lovely and educational book called Grumble Bluff by Karen Bessey Pease. This tale tells of two young girls in that difficult and awkward stage of tweens – one is overweight and one has a horrific and painful situation she is living with. Both are bullied and teased relentlessly. Even reading how some kids are so mean made me feel so sad and angry on the inside. If you are a parent of a teen or tween – buy this book today – read it and have your child read it. You will feel warm inside at the end and then anxious for the second book. Kathy and Greta (characters) will become part of your family too – and what a great way to open lines of communication between you and your kids. Katherine Anne Kirby has a problem. In fact, she has more than one! She doesn’t seem to connect with her family. She is picked on and bullied every day at school. And if that’s not enough, Kathy is fat. All in all, Kathy is miserable, but there is one place in the world where she feels peace and freedom and contentment. Grumble Bluff, a deep forested ravine with a rushing stream flowing through, is Kathy’s private sanctuary– a place that she has never shared with anyone. Then comes the day when Kathy feels compelled to intercede for a girl named Greta, who is being picked on by the same kids who have made her own life a living nightmare, and she rescues Greta from her tormentors. From that day on the girls are inseparable, and Kathy realizes something– that she hasn’t had it so bad, all along. For her best friend is coping with a problem much bigger than anything Kathy has ever had to confront. Greta’s wonderful father is dying. In the serenity of Grumble Bluff, the girls discover the power of their friendship; how to triumph over the tragedies of life, and how to laugh again.